For families who live in The Villages, Ocala and Leesburg, your Z is coming in loud and clear on 88.7 FM! Years of prayer and planning, faithful families ‘paying it forward’ with their financial gifts and engineers working tirelessly for months have made the Z’s new, 35,000 watt signal on 88.7 FM possible. 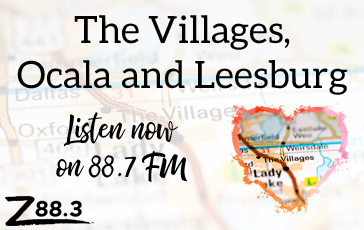 If you live or work in The Villages, Ocala or Leesburg, be sure to set your car and clock radios to 88.7 FM!